Filmmakers switching from the classic 35mm film of the last century to digital HD formats – which require expensive digital projectors – leave many small cinemas priced out of playing the newest films. 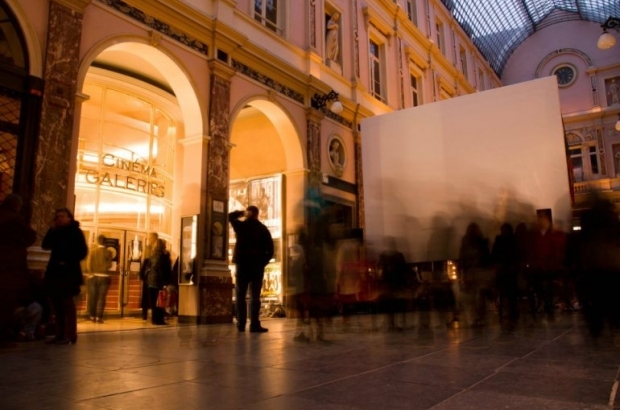 Luckily, Brussels has a number of independent and art house movie theatres that go far beyond the Hollywood blockbusters and offer a huge variety of independent and foreign films alongside the mainstream flicks and blockbusters. With five viewing rooms and widely varied programming, Vendome almost always has something for everyone. This family-owned institution in Ixelles has been in operation since 1952 and today remains faithful to its beginnings as a space for boundary-pushing, high-quality films. The cinema also hosts or takes part in a number of society-minded film festivals throughout the year, including Ciné-club des Libertés and the AlimenTerre festival devoted to food issues. A non-profit cinema that has been around for 20 years, Cinema Nova is in it for the love of the craft. Staffed largely by volunteers, Nova works hard to get its hands on indie films with small distributions – or sometimes no distributor at all – and little commercial potential. Over the years, it has even become a distributor itself, promoting works by filmmakers willing to choose the artistic over the commercially profitable. Calling itself a house of living cinema, Nova organises its programming by monthly themes, like travel or consumerism, or presents revues of works from specific countries or genres. It also regularly offers special events, festivals and director talks, and opens its space to a multimedia array of art exhibitions, musical events and political forums. A basement bar provides cheap drinks and a great atmosphere for talking shop with fellow film buffs. Being a non-profit does have its downsides of course, as there’s not always money left over for some modern luxuries: Cinema Nova also wins for least comfortable seats – the school-auditorium folding wooden row chairs are less than ideal for longer films. Hidden away inside the hideous Galeries du Centre in the city centre, Cinema Aventure is the place to go for that film you’ve been meaning to see for months but never got around to it and now it’s left the theatres. This charming two-screener has spacious, plush seats that you can curl up in to enjoy something from a carefully selected programme of international films. Unlike most theatres in Belgium, they offer student discounts that aren’t contingent on being under 26. Also, if you plan ahead a little and buy your tickets on Arsène 50 instead of at the window, you’ll pay €5.50 instead of €9. Go to Cinematek often enough and you’ll come out with a degree in film history. As the official royal film archive of Belgium since 1938, Cinematek boasts a library of more than 70,000 film titles – long and short, silent and HD, fiction and documentaries. Certainly Brussels’ cheapest cinema, it offers these films to the public in tiny, cosy theatres for only €4 a ticket. The curators of Cinematek delight in presenting film series that draw a red line through cinematic history, whether by following the career of a particular director or by examining a theme as it is dealt with through the ages of film. Brussels’ tiniest cinema, Cinema Styx in Ixelles is for art house film lovers. Styx is a perfect neighbourhood cinema – the place you happen to wander into when you’ve got some time and no plan, and you end up seeing the best film you’ve seen all year. Mixing up its art house focus with indie films, later release mainstream productions and the occasional classic, Styx always offers something of a surprise. Once you’ve combed your way through a throng of tourists and dodged a dozen seafood restaurateurs on Rue de Bouchers, you’ll be ready to sink into one of the comfortable seats of the quaint, cosy Actor’s Studio. Like Cinema Aventure, this two-screen independent cinema occasionally carries an art house film or two, but keeps itself afloat with well-chosen, successful mainstream films that it usually premieres a while after the multiplex releases. After public uproar and many valiant efforts to keep the beloved Cinema Arenberg in business, the old theatre folded in 2012 and Cinema Galeries opened in its place with fully renovated technology, including digital HD projectors. With its sweeping staircase, original to the building built in 1939 in the Saint Hubert Galleries, Galeries is dedicated to art house cinema and complements a programme of contemporary filmmakers with exhibitions of modern art and educational programmes for children. That is really great. And, I watched some movies after reading this post. Thank yo so much for giving the information. I found some movies on Terrarium tv app. This app is a movie streaming application for mobile phones that has all the movies from every corner of the world. Download Terrarium tv apk if you are a movie lover.